Few months before summertime, we have always stand at a crossroad: free yourself from stress and go wild or stay quiet and take your time to think how to start the next season, no matter if you are a worker, student, or in search of new challenges. 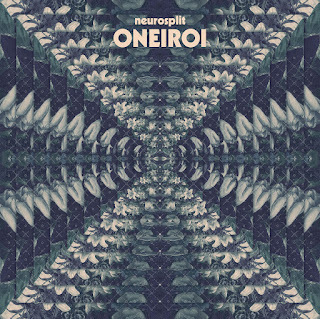 Sostanze Records takes the introspection 2.0 of this Florentine guy, Neurosplit, and helps him to produce what is an EP, just like it should be conceived by the guideline. Oneirei immediately give me the impression to be a complete way, with its 3 tracks is oriented towards a new era of dubstep. Absence starts with sounds that, like voices that reverberate from the past, bring you back in time while after let you get carried back to the present, at the moment, at the move, thanks to their merging with the impetuously of drum'n'bass. Blue hypnagogia, with its future-garage texture, continues to make the process uncertain, tragic at times, but after, it turns back to be positive. Zacatechichi Oracle closes the line, Neurosplit seems to have choosed: the bass are soft, vibration are slight, deep breaths, silence.